ePublisher has the most advanced HTML5 output available on the market today. Fast and efficient, ePublisher now allows you to leverage search, metrics and custom design with the push of a button. You create the content, we give you the tools needed to provide the best customer experience, increasing the value of documentation to your customer and business. In 2018.2 We improved the client-side search so you would have more control in guiding your customer to the right information and they would experience immediate results. We also enhanced the software’s ability to cross content silos and improve results through the synonyms list. We give you full control over what title and summary are shown in the results. In Reverb 2.0 we have continued to develop the ability to customize the look and feel of your output. 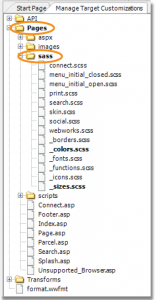 Easily change theme colors through the .scss file with minimal effort. 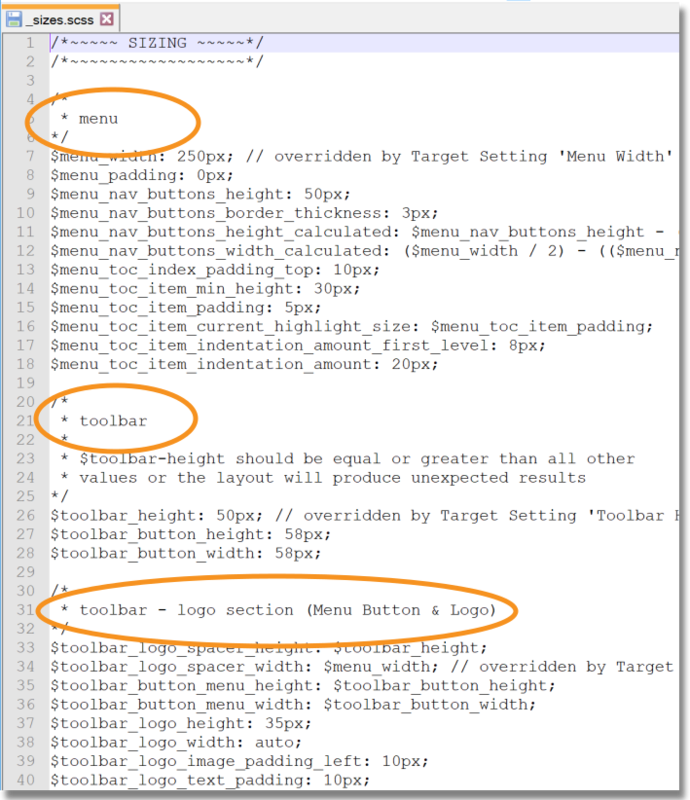 Styling improvements also include advanced TOC management and customizable headers. Interactive content to help improve your customer’s experience. Just one of the features added in 2018.2 Reverb 2.0 is a master expand/collapse toggle button. If you have an area with several expand/collapse sections, now you can give your customer the option to expand or collapse all sections at once. 2018.2 now has “Was this Helpful” buttons that report back to your google analytics. Want to know if a page is delivering the right message? Want to know if your search results found the information your customer was looking for? Improved Google Event Tracking will report this information to you and much more. We will continue to improve on metrics because if it can be measured accurately, it can be improved dramatically. Finally, we have added FrameMaker 2019 32bit support so you can upgrade FrameMaker and still continue with your ePublisher workflow. Click on the images above to get more information on the specific features. For full release notes, you can click here. LavaCon was a great success this year! There were a plethora of awe-inspiring breakout sessions and workshops that taught us how to write strategic content for the technology-driven zombiefied hoards we face on the day to day. We at WeWorks had a great time speaking with all of you and learning what essential needs you face during this apocalyptic time for documentation. We wanted to take this opportunity to reach out and let you know that we heard you. Own Your Search: Breaking down silos continues to be a common need in the TECOM world. Many of your customers have become frustrated with disconnected documentation that requires too many steps to find the answers they really need. With ePublisher we give you complete control of your search giving you the option to span silos putting all content in one central location. With a fully customizable search, you get to determine the scope of your search connecting document silos and the order in which results will display, helping your customer find what they need quickly. To learn more about search download our free trial here. No Guess Work: Knowing if your documentation is effective has been a mystery in the industry for years. Content creators continue to look for answers because if it can be measured accurately, it can be improved dramatically. ePublisher has unlocked the most accurate way to measure customer engagement through Google analytics event tracking. Using ePublisher to deliver your content will give you the power to get the most out of your documentation and prove to your bosses the value you add to the organization. To learn more about analytics download our White Paper here. In publishing, customer experience is the only sure way to guarantee an ROI. This can’t be done through a “best guess” strategy. You need to be able to measure your efforts and have the proper tools to make changes in response to your analysis. Publishing with ePublisher is the only way to get both measured results and the tools to improve them, guaranteed with the most advanced technology available and 25 years of experience to support your success. Have you ever tried to upgrade from PDF, WWH5 or Reverb 1.0 to a more advanced user-friendly output? We know it might seem difficult for a multitude of reasons. Perhaps you have inherited a project and you are not sure where to start or maybe you have several customizations in your output that make upgrading seem impossible. With the release of ePublisher 2018.1, many ePubilsher customers have quickly and easily upgraded to Reverb 2.0. By utilizing the information in this article, this post will help get you started on the path to a Reverb 2.0 HTML5 advanced document set. Reverb 2.0 was designed to help you, the Content Creator, get the most relevant information to the customer in the least amount of time while maintaining an intuitive feel to your document sets. If you are looking to increase the value documentation brings to your organization Reverb 2.0 is a big step in that direction. To view the Reverb 2.0 skins, we recommend adding a target to your existing ePublisher Designer project. This is so you can see what your source documents look like in the new skin and identify which customizations are going to automatically transfer over and which ones will need to be manually transferred. You always have the option of creating a new Designer project to see what the default output will look like. 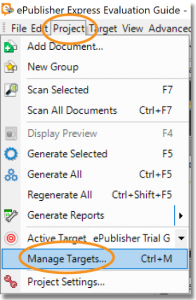 Verify that the new target name appears in the Manage Targets window. Once the new target has been added, it will now appear in your active target window. To view the new format simply select the target and generate all. Feel free to experiment with each new target, once you find the right Reverb 2.0 skin you can delete the other targets. When comparing customizations (for more about ePublisher customizations click here) we recommend starting with the Style Designer. Any customizations in the Properties or Options tab will be automatically carried over to Reverb 2.0. Only review bolded items on the Target Properties or Target Options tab because they are not automatically carried over because they are Target specific. After you have reviewed the old customizations you can add new ones. All new features available in this area will be listed in the Properties and Options tab. If you see a feature you would like to customize only for the selected target, look for the feature listed in the Target Properties or Target Options and make the changes. Once you’re finished working in the Style Designer compare customization in the Target Settings window. Hint: create an excel sheet with the categories in Target Settings that have been customized. If a category carries over to Reverb 2.0, the name will be the same in the Target Settings window. For example, Company Information is the same category name in the Target Settings of WebWorks Help, Reverb 1.0 and Reverb 2.0. With the excel spreadsheet created you can compare target settings in Reverb 2.0 and determine which settings should be transferred. After transferring the target settings you can scroll through the categories and determine which new features to customize. After all the customizations have been made, generate the new target. If the output meets all the requirements, we would recommend moving to the section “Putting on the Final Touches” If not, you will need to compare the Advanced tab customizations. We recommended you have the person who created the Advanced tab customizations compare them. If that person is not available, you can create a support ticket to get help with the transfer. If you would like to learn more about the Advanced tab customizations there are several options available to you. 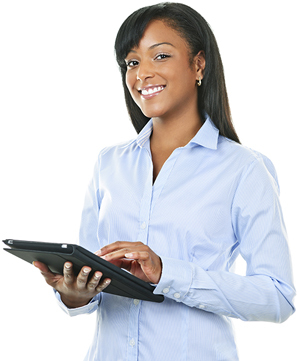 We have ePublisher 201 training that covers Advance tab customization in detail. We also have Study Hall in which you could bring in a project and have someone help you determine the best way to customize a project. The optimal path is to take ePublisher 201 training for a solid overall understanding of the Advanced tab features and then Study Hall or a support ticket for one-offs. The final step of the process is to put on the final touches to your Reverb 2.0 output. Reverb 2.0 was developed with Sass technology to make it easier to customize colors, logo placement, and icons. To change the color, logo placement or icon of your Reverb 2.0 output, navigate to the proper file under the Advanced tab (to learn more about Advance tab customizations click here.) 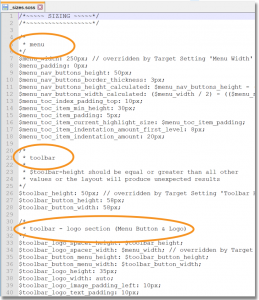 Once you have selected either target or format customizations navigate to the Sass folder and make the necessary customizations in the correct file. _colors.scss is the file to change the color scheme of your Reverb 2.0 output. This file is written so you can design a nice output with as few as three colors. You just enter the hex color code in the proper location as indicated in the picture below. 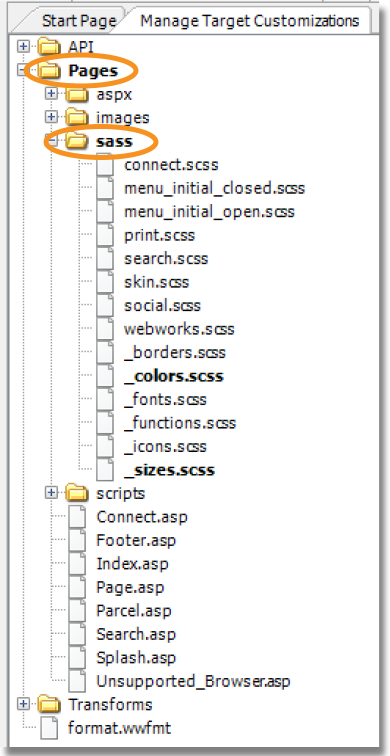 _sizes.scss is the file where you can control the dimensions of sections within the Reverb 2.0 layout. Sections include areas like menu, toolbar, and toolbar logo. The file is well noted and easy to navigate. Just find the right section and make the necessary changes. These are just a few examples of the Sass system we are using to help you customize Reverb 2.0. For a full list of the Sass files and their descriptions, you can go here. We at WebWorks have designed our newest output with your customers in mind. Reverb 2.0 has new and improved features to help you guide your customers to the information they need. We’ve made upgrading easy for you by decreasing the amount of time needed to do so and by helping make sure you hold on to the customizations you’ve added. When making the move to Reverb 2.0 feel free to reach out if you have any questions.